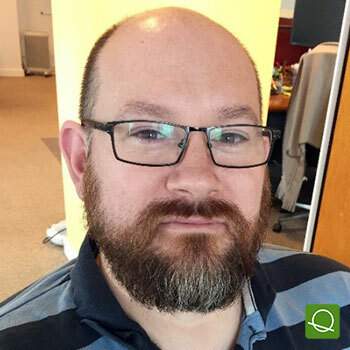 An in-vivo scientist with over 20 years of experience, Rob left full time education at 18 and decided to study part time for his bachelor’s Degree whilst working as an Associate Scientific Officer for a UK government medical research facility. Here, Rob gained extensive knowledge working with new and old-world primates under category 2 and 3 containment conditions. Since joining GlaxoSmithKline in 2001, Rob has taken lead roles in developing and refining technical procedures within the in-vivo world and has provided ad-hoc support and advice to the NC3Rs. Rob led the inhaled delivery platform at Stevenage within Laboratory Animal Sciences before dedicating most of his time to developing and refining pre-clinical models of medicine palatability assessment. He continues to lead collaborations with multiple external partners and has become an influential scientist within his field. In 2017, Rob was accepted as an associate member of the GSK Society of Fellows, in recognition of his continuing contribution to advancing scientific understanding. BLOCK: FORMULATION, DEVELOPMENT & DESIGN. CASE STUDY: ‘Bitter Matters’ – Assessing Inhaled Medicine Taste Preclinically. Limitations of inhaled formulations: the TRPM8 agonist, menthol as an excipient?